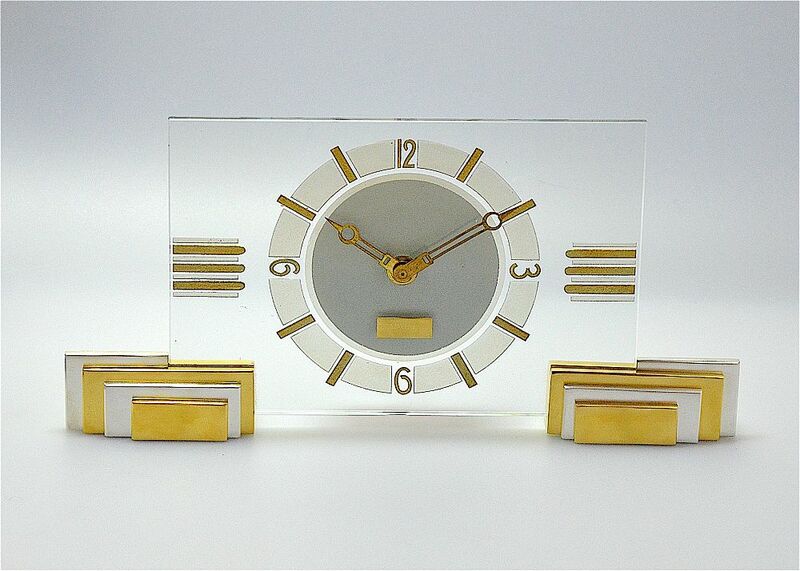 This is an extremely stylish French Art Deco clock by Marti. 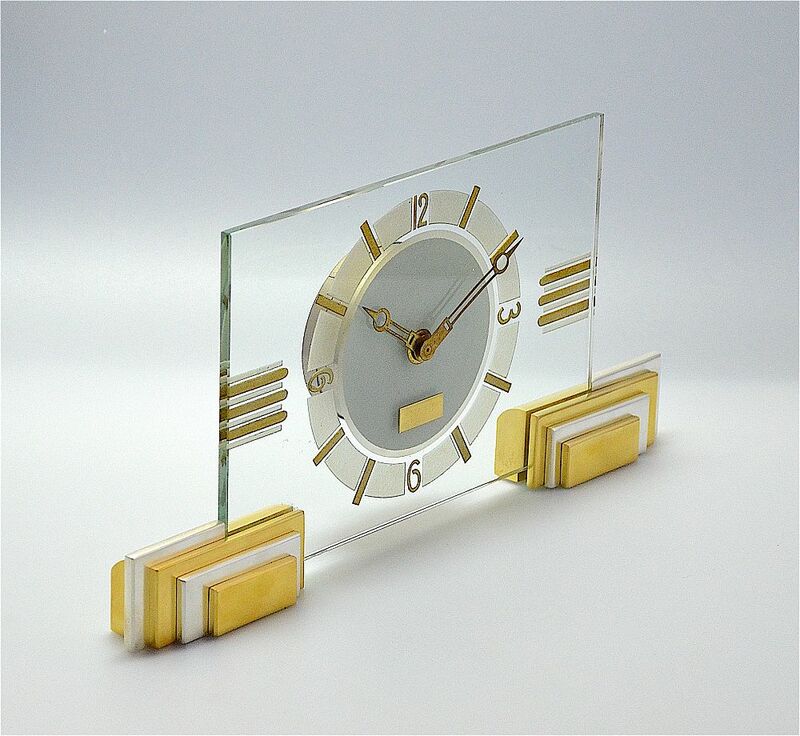 The dial is etched onto a rectangular glass plate the numerals and batons being gilt etched with the spaces in between being opaque etched. At the base of the dial is a gilt plaque inscribed "MARTI". On each side of the dial are gilt and opaque etched linear decorations and these are echoed in the gilt and silver metal tiered block feet. An 8 day movement in good working order this clock would look wonderful in any room.